This item was lost in the fire in The Mackintosh Building at The Glasgow School of Art on 23rd May 2014. Portrait of the Glasgow photographer James Craig Annan, 1884-1945. 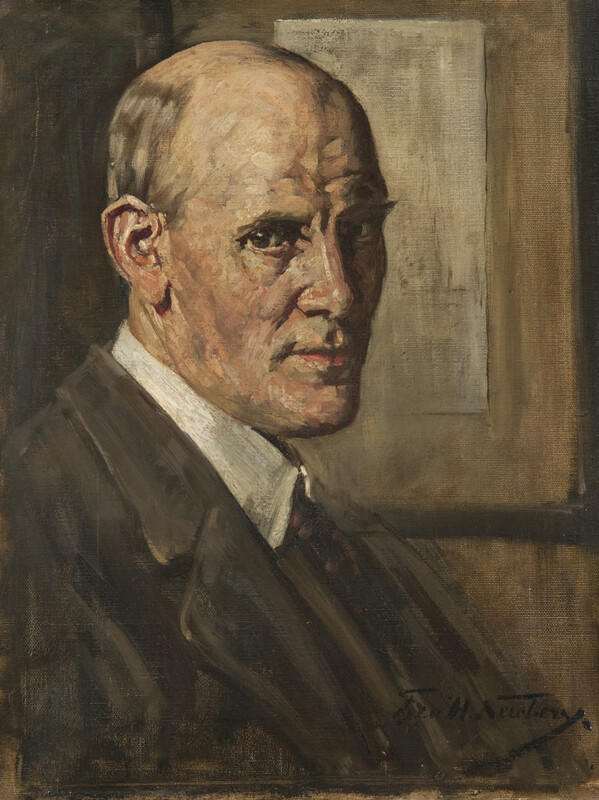 Inscribed on frame: "James Craig Annan 1884-1945 by Francis H. Newbery, Director GSA, 1885-1917". Exhibited: Edinburgh, Gallery of Modern Art; July 1992. Glasgow, Glasgow School of Art; 1996. Presented to Glasgow School of Art by Mr T Craig Annan, 1959/1960.